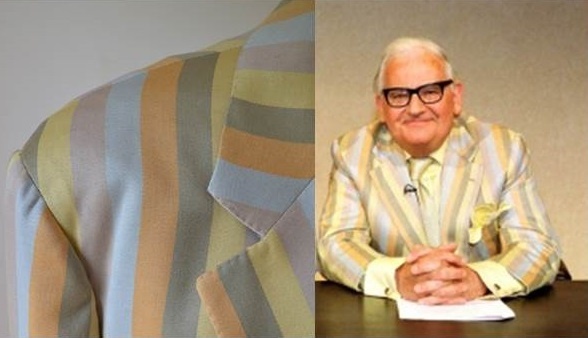 RONNIE BARKER'S JACKET It's goodnight from me. And it's goodnight from him! A stunning piece of British entertainment memorabilia that would look fantastic framed. 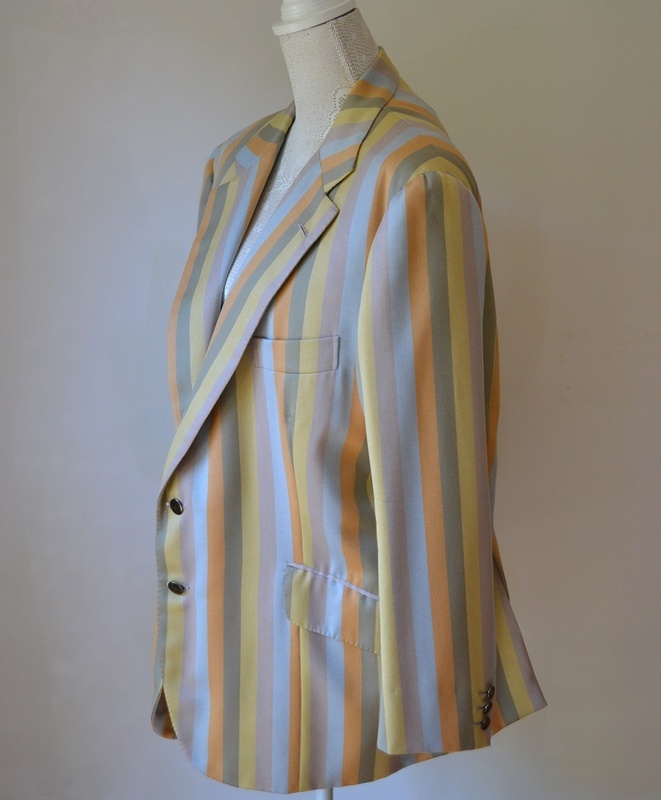 A screen matched striped jacket for the the news segments on BBC's Two Ronnies, signed by Ronnie Barker. It's goodnight from me. And it's goodnight from him! 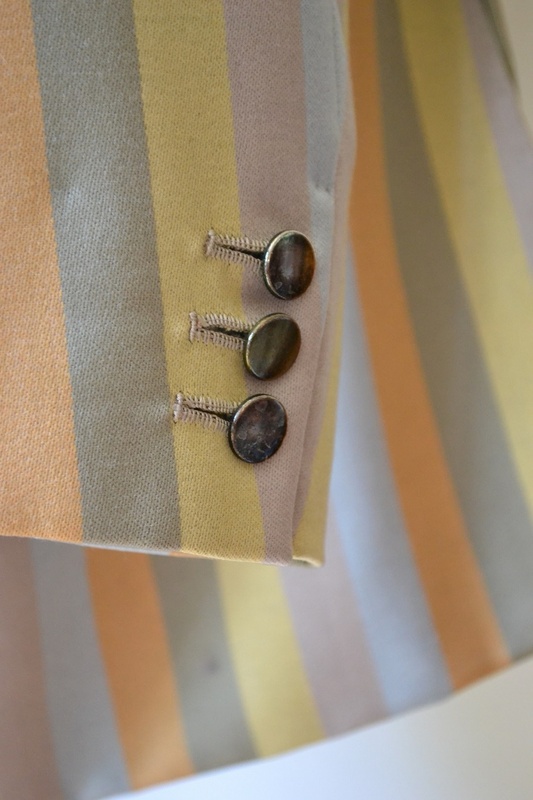 A stunning piece of British entertainment memorabilia that would look fantastic framed. 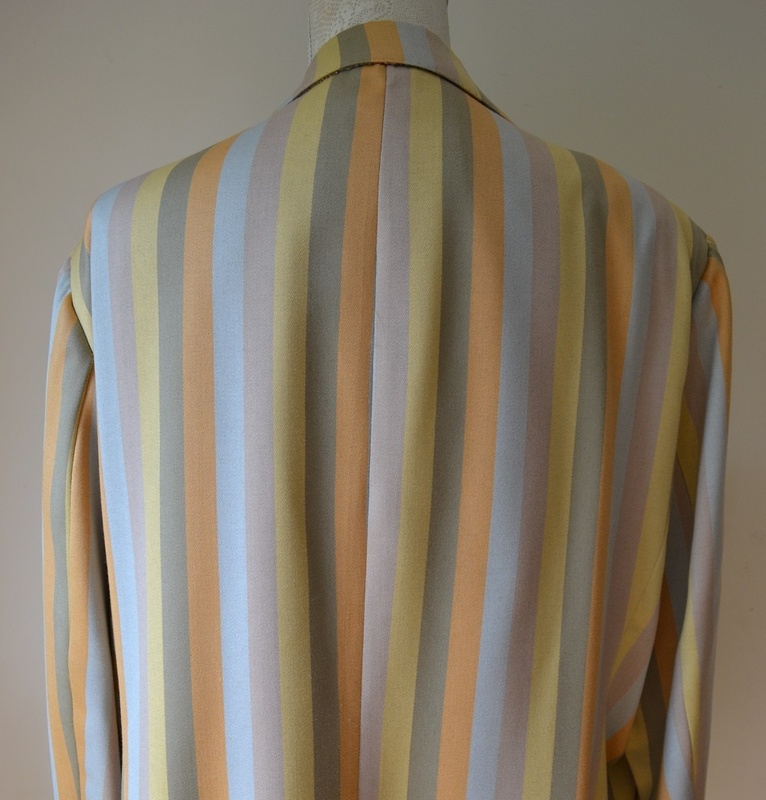 A screen matched striped jacket for the the news segments on BBC's Two Ronnies, signed by Ronnie Barker. It's goodnight from me. And it's goodnight from him! A stunning piece of British entertainment memorabilia that would look fantastic framed. 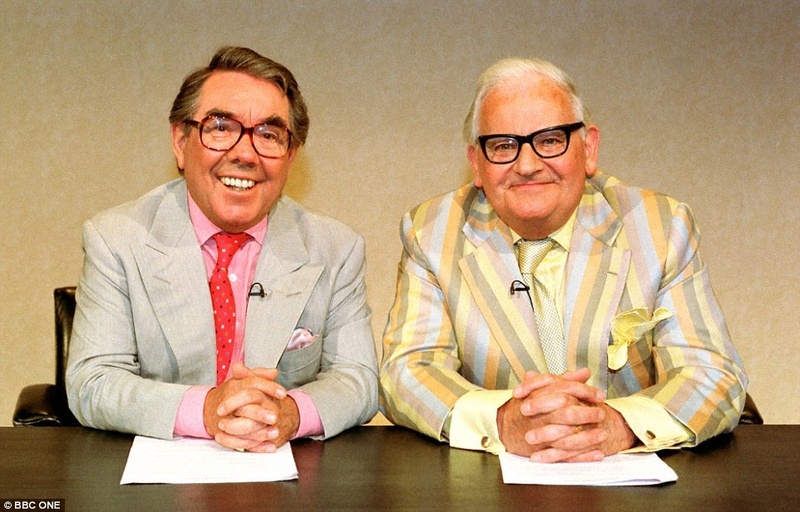 A screen matched stripped jacket for the the news segments on BBC's Two Ronnies. 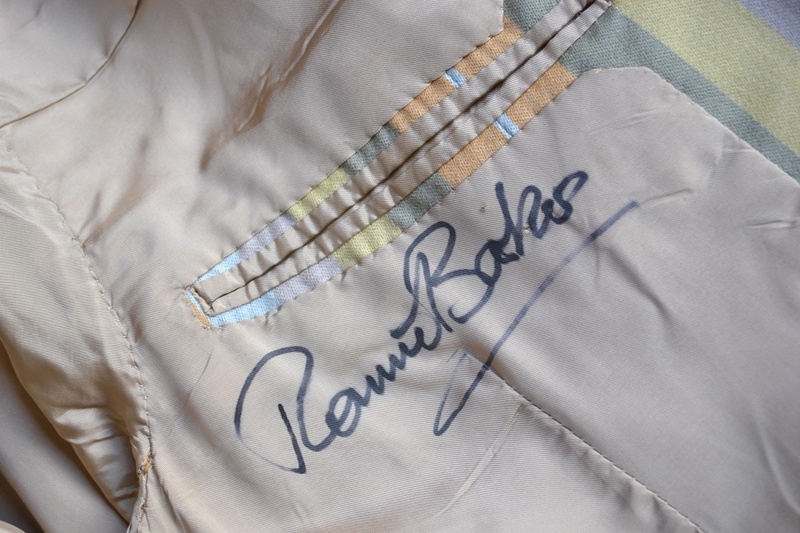 Boldy signed by Ronnie Barker in marker pen. 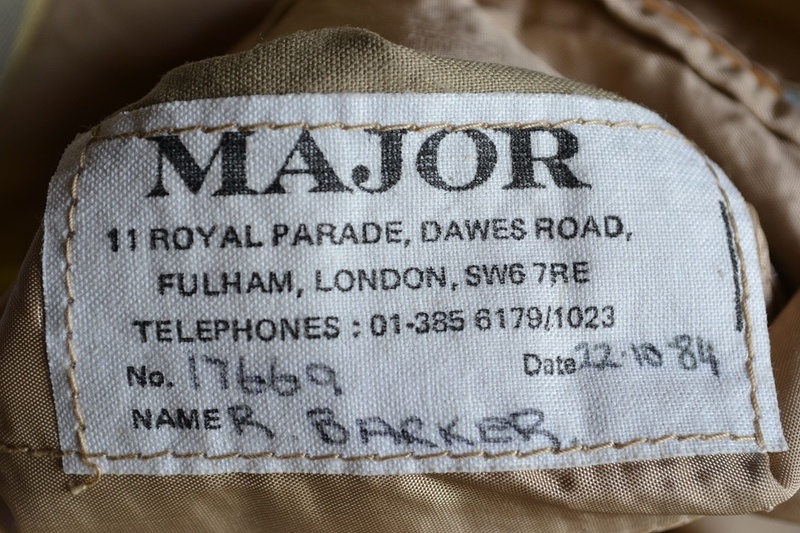 Made by specialist tailors D. Major of London (www.majortailors.com) this high quality jacket is over 30 years old and has R Barker and the date 22/10/1984 written on the inside pocket tailors label. 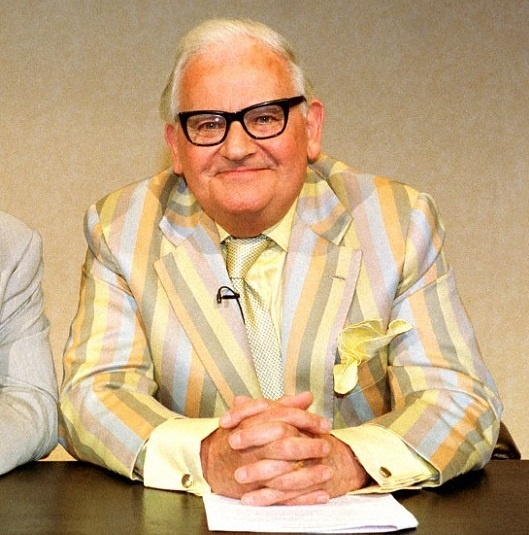 Also comes with an A5 size hand written letter from Ronnie Barker on headed paper confirming 'the jacket was worn during the Two Ronnies series in the 1970's & 1980's. 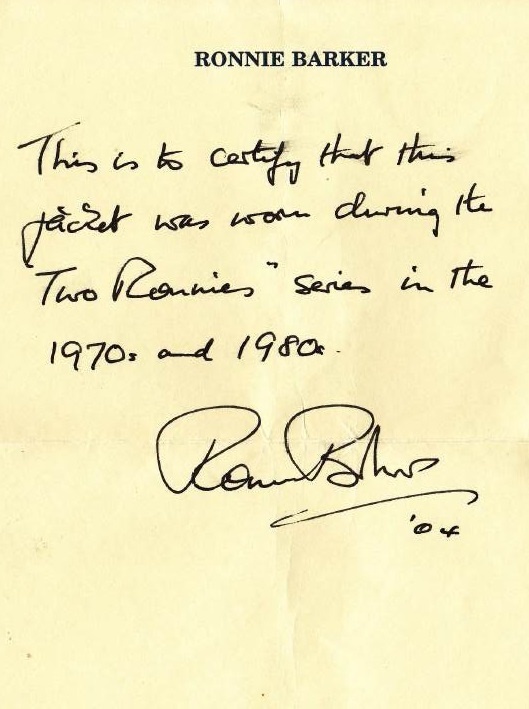 An iconic piece of memorabilia certified by Ronnie Barker himself.